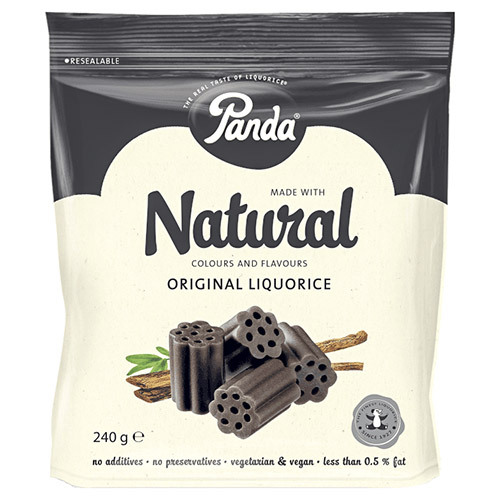 Premium quality soft liquorice lovingly made with natural colours and flavours. Contains only four meticulously selected ingredients. Great tasting liquorice, as pure as it comes! Molasses syrup, wheat flour, liquorice extract, natural flavour (aniseed oil). 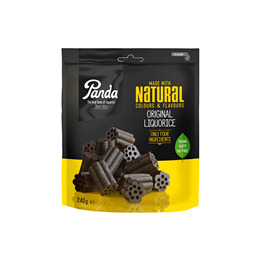 Below are reviews of Panda Liquorice Cuts - 240g by bodykind customers. If you have tried this product we'd love to hear what you think so please leave a review.